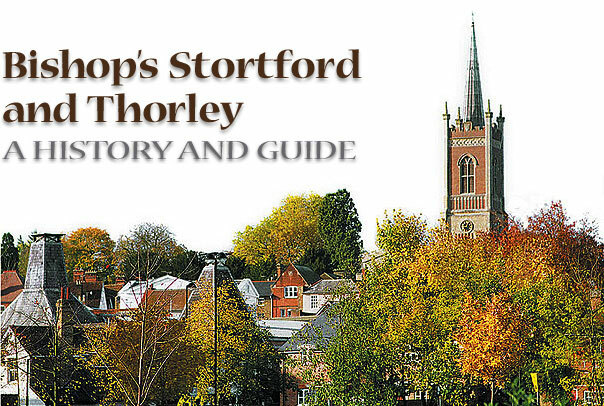 BISHOP'S STORTFORD is situate at the extremity of the county, adjoining Essex, in the heart of a corn country, 30 miles from London, 26 miles from Cambridge, and 31 miles from Newmarket. The road divides about half a mile before you reach the town, one going through Hockerill, the other through Stortford; they join again about the same distance on the other side of the town. Bishop's Stortford and Hockerill are both situate on a rising ground, with the wharf or quay between the valley, where a number of warehouses are erected for the reception of all kinds of grain, but principally for malt. On the North side of the road leading from Hockerill to Stortford, upon an artificial hill, are the remains of a castle built in the time of William the Conqueror, and was originally called Waytemore-castle, now only Castle-hill. At that time a prison stood at the bottom of the hill, where soldiers mounted guard, and the rents of certain lands were given to the support of it. William the Conqueror afterwards gave it to the bishop of London, (whence its name) and ever since that time the bishops of London have appropriated the money which is paid for Castle-guard to themselves. The castle and prison were both demolished by king John for the offence of the then bishop, who was one of those who published the Pope's interdict against the English nation. The bishop was restored by the same prince, and satisfaction made him for demolishing the castle. The hill or keep of the castle is artificial, made of earth carried thither, with a breast-work at top of stones and mortar. A bank of earth leads from it through the moory ground, on which it was situated, to the North-east. There is a large wall from the top of the hill yet remaining. The bishop's prison was in being in bishop Bonner's time; though all the old buildings are demolished. Where the prison stood an inn was erected, which still continues as a public house. The town itself is built in the form of a cross, the two principal streets crossing each other at right angles. No particular manufacture is carried on here; the staple commodity is malt, of which large quantities are made: this place is a general reservoir for the major part of that article made within 25 or 30 miles, particularly from Saffron Walden in Essex, Newport, and villages adjacent; it is deposited in the care of persons called meters, and disposed of by them to factors or brewers in London for a small commission of 1 1/2d. per quarter; it is then put on board barges and sent to the metropolis. The market is held on Thursday, and is very considerable for all kinds of grain. There are three fairs in the year, the principal one on the 10th October; the summer fairs are, one nine days before Whitsuntide, the other nine days after, and are principally for horses and horned cattle. The navigation (which is the sole property of George Jackson, Esq.) was brought here in the years 1779, from which time the trade and commerce of the town have daily been increasing. The length of the navigation from hence into the river Lea is 14 miles, and from thence to London 18 miles. Before this river was made navigable, the same malts which are now lodged here were carried to Ware and Stansted, and there put on board barges and sent to London; but, by means of this navigation, there is a net saving of 4d. per quarter to the gentlemen residing at Walden, Newport, &c. from which places are brought the best brown malt in the kingdom; of course Ware and Stansted now receive but very little malt from this part of the country in proportion to what they formerly did, nevertheless Ware is now considered as the best market for pale malt, but Stortford for brown. The post-office at Richard Thompson's the Coach and Horses inn, Hockerill; postage of letters from London 3d. A coach goes from the George inn (the excise-office) every morning to London, and returns in the evening during the summer; and in the winter goes up one day, and returns the next; the fare 7s. A stage waggon goes from hence every Monday morning to the King's Arms, Leadenhall-street, and returns to Stortford on the Wednesday: usual carriage of goods 1s. per cwt. The chief inn is the Crown in Hockerill, which being on the Newmarket and Cambridge road, has aquired the first consequence for the accommodation of noblemen and gentlemen. At the general election Stortford produced 109 votes. The number of inhabitants is a bout 3000, of which the dissenters form a considerable part. The church, dedicated to St. Michael, is lofty, and stands on high ground; it hath a fine ring of eight bells. There were anciently three guilds and a chantry founded here. In the church are nine stalls on a side for a choir. On the North side the church, is a gallery for the young gentlemen of the school, upon it Sir John Hobart's arms, (first earl of Buckinghamshire of that family), who was educated here, and a great benefactor of this work. At the West end is another gallery, built a few years ago, upon which is an organ; and it is observable, that there was an organ in this church so long ago as the reign of Henry VII. A new font stands before it, with a pavement of black and white marble, inclosed with rails. There are a great number of monuments in the church, particularly one, in the North aile, for seven children of Edward Mapplesden, who died of small-pox. The large tithes of the parish are in lay hands; a Mr Broome is receiver, who lives at the parsonage house, about half a mile from the town, a very pleasant situation, There is a handsome meeting-house of the independent persuasion, besides a neat one belonging to the quakers. Several benefactions are bestowed on the poor of this town, particularly two alms-houses in Potter Street. But the greatest ornament of the town is the school, built 90 years ago, by contribution of the gentlemen of Hertfordshire and Essex, at the request of Dr. Thomas Tooke, late master, who also procured several sums for compleating it from the young gentlemen educated here. When this gentleman engaged in it, it was at the lowest ebb of reputation; but he raised it to a great degree of fame, and considerably increased the trade of the town, by the beneficial concourse that it brought thither. He revived the annual school-feast, and charged his own estate with a yearly present to the preacher on that occasion. He gave a chalice of 20s. value to the church, and was a great benefactor to the school-library; which is a very good one, and was first set on foot by the Rev. Thomas Leigh, B. D. who was vicar of the church, anno 1680. Every gentleman leaving the school presents a book to the library. The principle seats of noblemen and gentlemen in the vicinity of Bishop's Stortford, are those of Lord Mountstuart, at Hallingbury Place, distant 4 miles; Sir Peter Parker's, Bart. Bassingbourne Hall, 5 miles; Montague Burgoyne's, Esq. Mark Hall, 7 miles; Staines Chamberlayne's Esq. Hatfield, the Ryes, 6 miles; Samuel Lightenhouse's, Esq. 5 miles; Robert Raynesford's Esq. Birchanger, 2 miles; William Heath's, Esq, Stanfield Hall, 4 miles; John Calvert's, Esq. Albury Hall, 5 miles; Jeremiah Miles, Esq. Pishobury, 5 miles; Robert Gosling's Esq. Hartfobury, 6 miles; Richard Vachell's, Esq. Threm Hall, 3 miles'; Ralph Winter's, Esq. one mile and a half; the last mentioned gentleman, being the nearest magistrate, attends here to hear complaints, determine small differences, and administer justice. Hadham Parva stands a little North of Bishop's Stortford, and is of chief note for having been the burial place of the Capels, Earls of Essex.